Most modern garage doors come with the ability to raise and lower the door with a hand-held remote control device. This is a convenient feature, but like everything else it is prone to breaking down. Local customers depend on Central Garage Doors to repair their garage door openers so they can enjoy easy access once again. Our company stocks parts for numerous types of garage door opener remotes. We also service all brands. Because most people gain access to their home via the garage, they appreciate the convenience of a garage door opener in good working condition. 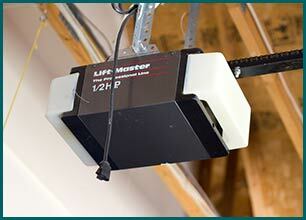 We are pleased to carry a wide range of garage door openers at prices to fit every budget. You can purchase an opener from us that is priced to be budget-friendly or a high-tech version that can perform several other functions. Our company in San Jose, CA provides you with a no-obligation estimate that includes the cost of the garage door opener itself as well as any other services that you require. The next step is for your service technician to install the device and answer any remaining questions that you have about it.